The alleged rationale for the NAIS is to protect against animal disease by providing 48-hour traceback of all animal movements. The proponents raise the specter of Mad Cow, foot and mouth, avian flu, and other “foreign animal diseases.” There are many flaws with this rationale. The threat of disease cannot justify every intrusion into citizens’ privacy and burdens on their property rights. Disease, both human and animal, has been part of our existence for thousands of years. A hammer can kill, but we don’t require people to register their tools and report to the government whenever they take their tools off the property. People can spread disease, but we would not accept a requirement that humans report to the government every time they go to work, school, or a social gathering. The government’s and industry’s attempt to use fear to deprive us of our rights is unacceptable. We do not even face a true choice between liberty and security. While the NAIS concept sounds good, it will not actually improve animal health or food safety. The NAIS will not increase food safety. For many people, the issue of animal health is closely linked to food safety. Yet the National Animal Identification System will do nothing to improve the safety of our food supply. Most food-borne illnesses are from bacteria such as salmonella, e. coli, and campylobacter, or a specific group of viruses called the Norwalk viruses. 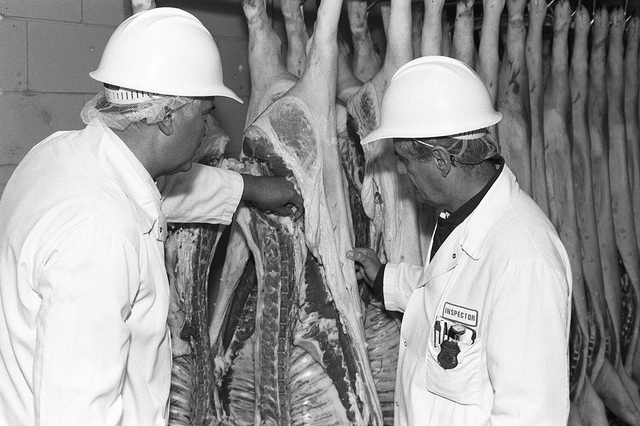 These organisms contaminate food due to poor practices at slaughterhouses or in food handling. NAIS will do nothing to prevent these problems from occurring. Moreover, because the tracking will end at the time of slaughter, NAIS will not improve the government’s ability to trace contaminated meats once they are in the food chain. The program is designed to reassure the export market and American consumers without making the changes necessary to actually improve our food supply. In a similar vein, the most effective protection against having BSE or Mad Cow Disease enter our food supply is to test the animals. Japan tests every animal that enters their food chain, and England and the European Union also test significant numbers of cattle. In contrast, the USDA currently only tests about 1% of our cattle. And at the same time that USDA is proposing that we tag and track 100 million cattle, the USDA is also proposing to reduce the testing to just 1 in 1,000 cows. Identifying the animals with electronic tags will not tell us if the animal is disease or not, so tracking without testing is simply useless. The NAIS will therefore do nothing to increase the safety of the American food supply, although it will almost certainly raise the cost of food because the costs will have to be paid somehow. The NAIS does not address the causes of disease or prevention. The tracking of animal disease 48 hours later fails to address our first line of defense: the prevention of diseases. The NAIS fails to recognize the critical issue of different production systems. The likelihood that an animal will get sick or transmit the disease to others differs greatly depending on the species of animal, the exact disease, and the conditions under which the animals are kept. Imagine a tightly-enclosed building crowded with people who never see the light of the sun and are fed highly-processed, drug-laden foods. You’d expect disease to flourish in these conditions, right? Now imagine well-nourished people who get plenty of exercise in fresh air and sunlight, living in low-stress, low-density conditions. Common sense tells us that these people will be sick much less often, face fewer serious illnesses, and won’t spread disease quickly. The same principles hold for animal health. Factory farms, which house thousands of animals in crowded conditions and use regular doses of drugs to try to avoid illness, are far more prone to disease outbreaks and the rapid spread of viruses that are likely to mutate to highly pathogenic forms. 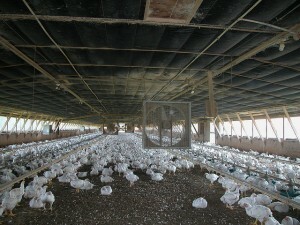 Small farms that keep animals in low density, outdoor operations simply do not pose the same risk. This common-sense principle has been affirmed repeatedly in practice and in publications in numerous scientific journals. Where do you think disease will start and spread? 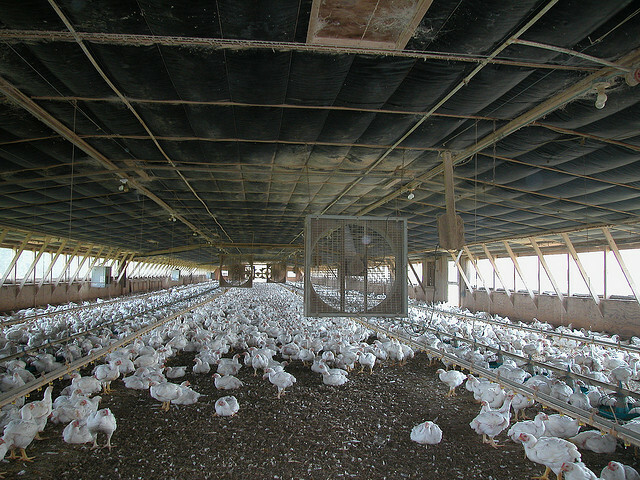 As just one example, in the 2004 outbreak of avian flu in Texas, the disease was found in a 6,600 bird flock in commercial poultry operation; but despite testing more than 350 nearby non-commercial flocks, no infected birds were found in non-commercial flocks. A recent report indicates that the spread of avian flu, including the greatly-feared H5N1 virus, is due to the conditions in confinement poultry operations. Despite the clear, scientifically documented differences between production systems, NAIS treats small-scale livestock owners as if they were large commercial producers. 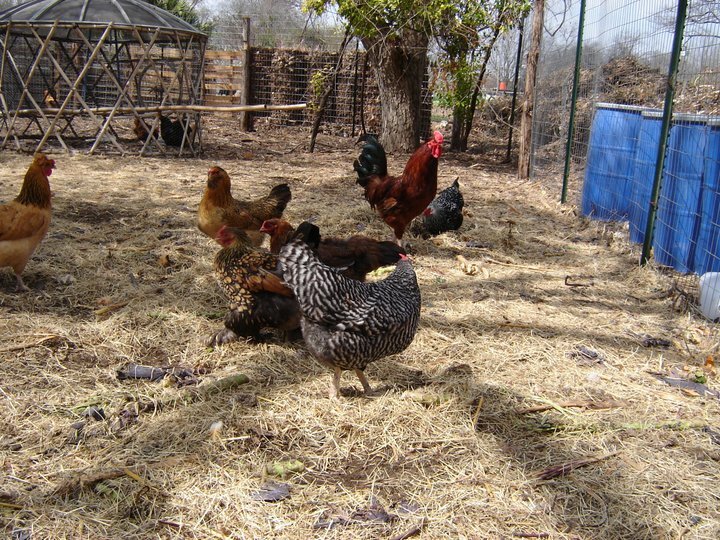 The backyard poultry owner with 10 chickens free-ranging is considered as much of a threat to animal health as a commercial operation with 10,000 chickens living in a crowded building. The farmer raising sheep or cattle on healthy pastures is treated the same as the feedlot with hundreds of animals crowded into small pens. Indeed, the small-scale producers face even heavier burdens than the large commercial operations because of economies of scale and the way the USDA has defined group lot numbers. This program is precisely the opposite of what is needed to prevent and control disease. 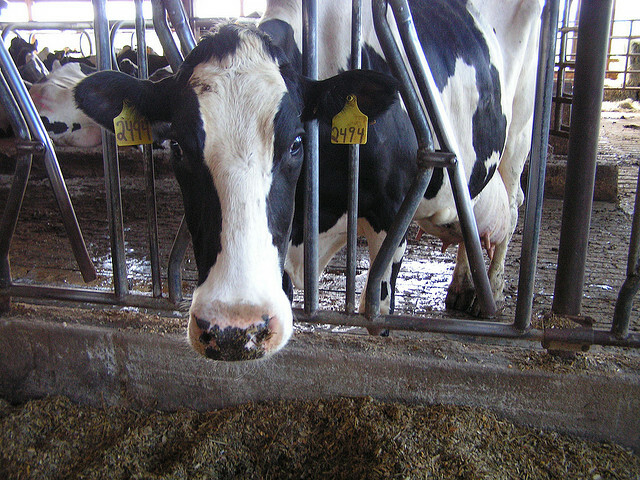 The issue of prevention is highlighted in the case of one of the best-known animal illnesses, BSE or “Mad Cow Disease.” The generally-accepted theory is that BSE is caused by the use of animal feed containing contaminated animal products as a protein source. The solution is simple: stop feeding cows feeds that Nature never intended them to eat. In 1997, the Food and Drug Administration (FDA) established regulations that prohibit the feeding of most mammalian proteins to cattle. Surely our limited governmental resources are better used by stopping practices that cause the illnesses than in tracking diseases after the fact. The NAIS will increase animal disease by creating a black market. The NAIS will probably increase the spread of livestock diseases by creating a new black market. If these new regulations are adopted, it is inevitable that some people will not comply – whether for religious reasons, economic reasons, or unwillingness to allow the government intrusion. Since they will be acting illegally, they will be far less likely to seek a veterinarian’s help should a disease problem arise. To understand the potential problem, one has only to look at the outbreak of Exotic Newcastle Disease that occurred in Los Angeles in 2002, a situation that pro-NAIS supporters have repeatedly referenced. The Exotic Newcastle Disease outbreak was started and spread by cockfighting flocks. Cockfighting is illegal in California and the roosters were smuggled in from Mexico. Obviously, people who use their animals for illegal activities will not comply with the program. The USDA’s claim that 100% participation is necessary to address disease issues founders on the reality that there will never be complete participation in reality. The NAIS will actually create conditions that increase the probability of disease outbreaks by undermining the first line of defense: the actions of private individuals and their veterinarians in quickly diagnosing and containing diseases. The NAIS ignores the existing mechanisms for tracking animals, as well as other measures that would actually improve our security. The government already has established systems and processes, including surveillance, tracking, and quarantines, for controlling the spread of animal diseases. Admittedly, these programs are far from perfect. A recent report from the U.S. Government Accountability Office reviewed the current defenses against animal disease, and identified multiple deficiencies. But the GAO did not find that a lack of tracking was one of the problems! The NAIS will simply drain resources, both in money and time, away from more important programs to address animal disease. The Government’s approach to animal disease includes killing healthy animals. Although not strictly part of the NAIS issue, the question arises: once an animal is found to be sick, what does the government do? In many cases, current USDA policy calls for “depopulation.” Stripping away the euphemisms, this means that the government will kill all susceptible animals, domestic and wild, within a 10 kilometer radius of wherever the infected animal has been. Healthy animals would be killed, in many cases without even being tested for the disease. If the disease has spread beyond the initial quarantine zone, which is likely due to the USDA’s refusal to use rapid field tests, the government would continue to expand the kill zones. In several cases, the government policy calls for depopulation even when the disease is not transmissible to humans and poses no human health threat. In some cases, the disease is not even fatal to animals. What justification can there be for killing healthy animals, without testing and without the owners’ consent, when there is no human health hazard? The answer, as with the rest of the NAIS, boils down to following the money.